The game can be deceptively simple at times, but actions carry consequences and can make achieving those five-star ranks difficult later on. 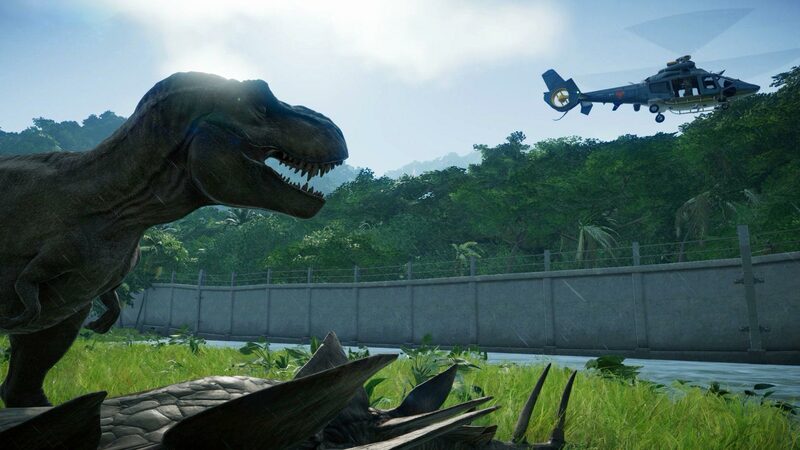 Who knew running a park full of 65 million-year-old predators could lead to such… uh… chaos? I know, you’ve just been given the keys to your own prehistoric kingdom, and the first thing you’re going to want to do is let a bunch of raptors lose and wreak havoc. The urge to create some of your favorite dinosaurs from the series or let loose a carnivore on unsuspecting guests might be strong, but follow the initial set of missions you’re given. The first island starts you off with two base paddocks. You can beat the island with these alone without ever needing new exhibits. Initially, to gain financial stability, follow the missions you are given and build up a strong base. Once you hit around 1 million (about enough to settle a few guest lawsuits), then you can start branching out. Viability is a core mechanic in JWE and it can really hamper a player financially. Viability is essentially the percent chance that an embryo will reach full maturity and be able to be released into the park. A failed embryo can be incredibly costly as the player still has to shell out the full price of the dinosaur. Initially, focus on getting the viability rate on a few dinosaurs high enough that you can reliably produce them. This will also increase their rating, bringing in more guests, and in turn, more cash. 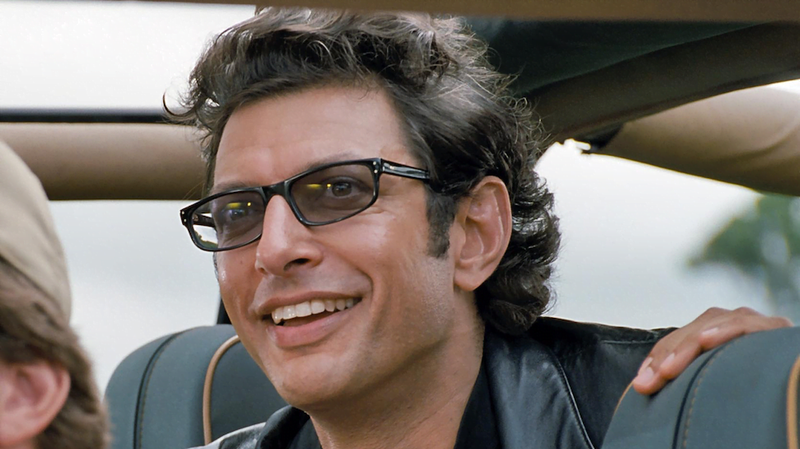 The three branches of JWE management (Entertainment, Security and Science) are going to be constantly reaching out with different proposals that will earn you reputation with them. While these contracts can get you some fast cash, they can also be literally impossible on the early islands. For example, early on I received a science contract to release a dinosaur with the enhanced metabolism gene, a research project I couldn’t carry out until I had unlocked island three. There are a few contracts like this and there’s no penalty to rejecting them. In addition to rejecting the incompletable challenges, it’s also worth noting that you can request additional contracts through the main Ingen menu. These contracts will refresh every few minutes and can help pass time between naturally occurring challenges. JWE has a lot of hazards it’s going to throw at you, and most of them can shut down a perfectly good park in a matter of seconds. So, first tip to guard against this, save often. Sometimes, you’re just woefully unprepared for a hurricane, a few raptors get out, and suddenly you have 1.2 million dollars in guest lawsuit debt, it happens. In addition to frequent saves, storm warning systems, upgrading power plants with grounding systems, and having a central park ranger station really help. For hurricanes, the upgrades will help less systems go out, and the storm warning systems will do exactly that, warn you about the storm. For cyber attacks or other later hazards, it’s good to have your ranger station central, as they’re going to be the ones turning the breakers back on. Sure, herbivores are fun, for a little bit, but guests didn’t come to see your herd of twenty Struthiomimuses (I don’t know how to pluralize dinosaurs). Guests want to see a T-Rex swallow a goat whole in front of a conveniently-placed viewing shelter. Sure, carnivores have more risk, such as eating said guests, but they are a hell of a ratings boost and increase income enough to deal with any unfortunate accidents. 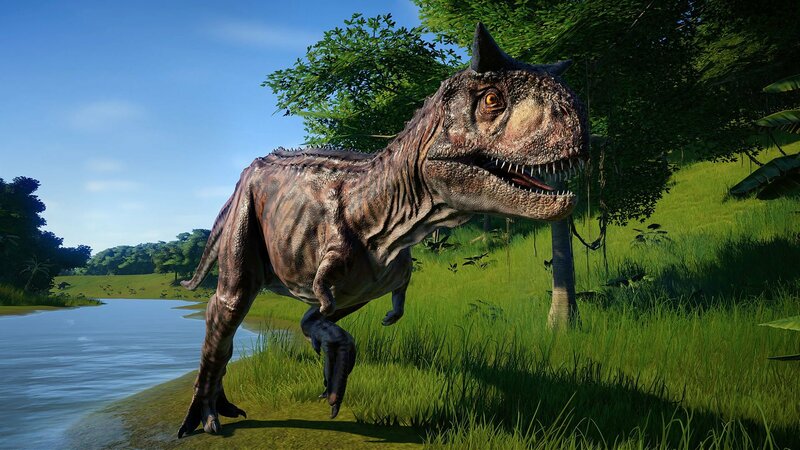 I recommend maxing out Ceratosaurus for DNA viability early on and then branching out to some of the smaller predators as time goes on. 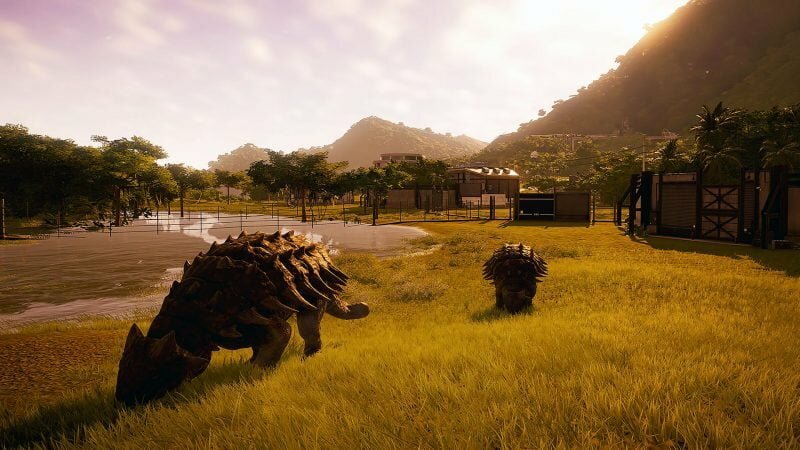 Early on, it might seem like you’re going to need a hundred paddocks to house all of your favorite dinosaurs from the JP franchises, and that can get expensive. Paddocks require fencing, gates, power, viewing platforms, and a hatchery if you want to release directly into them. To ease the cost of new exhibits, it’s worth trying out combinations of different dinosaurs to see what lives well together. In my experience, most herbivores, even the solitary Ankylosaur, can live in harmony together. This saves money on exhibits, ups dinosaur variety, and in turn adds to your rating by not expanding the park too much, hurting your walkability score. The best part? 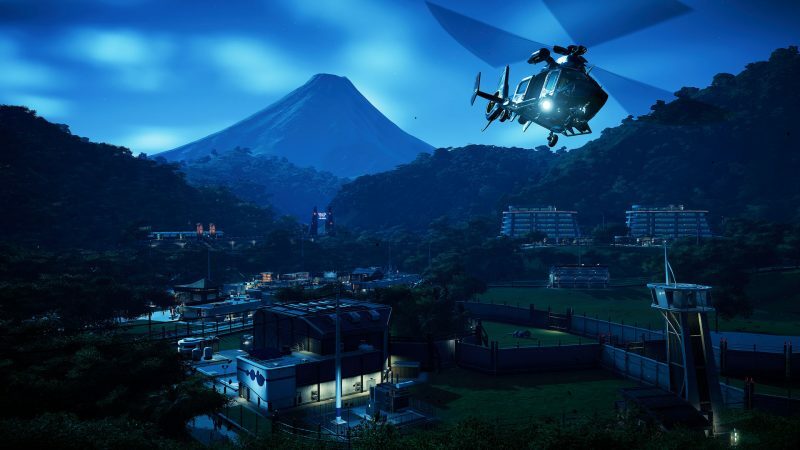 If a dinosaur isn’t working out, just tranquilize it with the ACU chopper and then sell it using the ACU transport team. This will net you some cash and allow you to experiment more. That’s all for my tips! Are you playing JWE? What are your thoughts so far? Let us know on Facebook/Twitter or in the comments below, and be sure to check GIZORAMA for more news on JWE in the coming weeks. 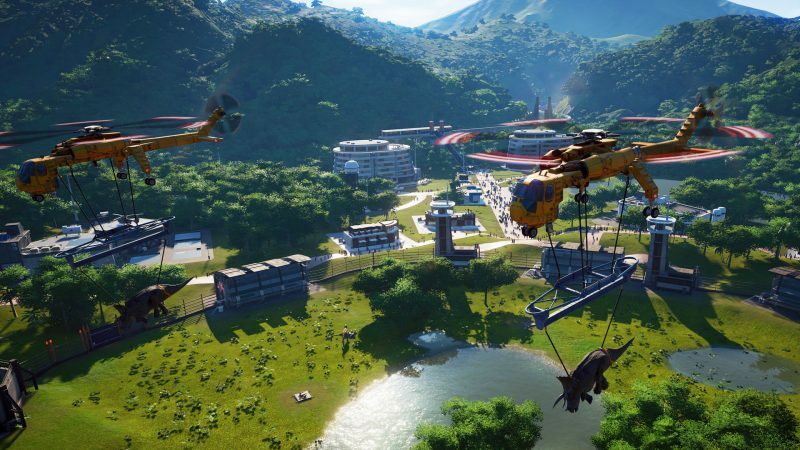 Jurassic World Evolution is out now on Steam, Xbox and PlayStation.